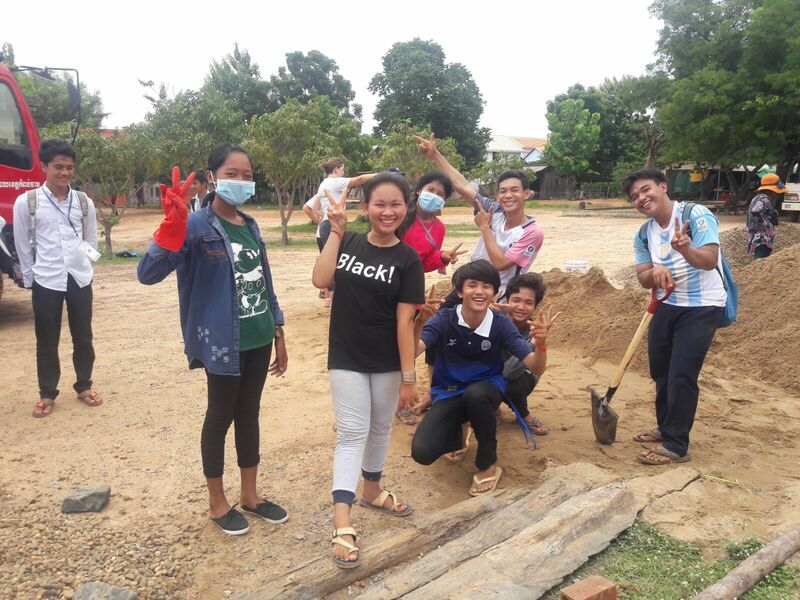 The blog below was written by Romly Kao, an exceptional Cambodian student who worked with us on our recent court project. This is the first time we have had a host-country national student write a trip blog. Please excuse any grammar, spelling or translation mistakes. He wrote the blog in English, his second language. Kingdom of Cambodia – early August in a rainy season. Our team, who owns the county, spent a whole week working with a group of good-natured, innocent people who traveled far from the ocean. They are called the Court For Kids (CFK) from Washington, The United States. Great construction has emerged in our beautiful community. This is a focal point for us to connect the two countries with a specific purpose. This is called the great relationship with the series of projects that will take place under the leadership of our school leaders, teachers, community members, our students’ groups. 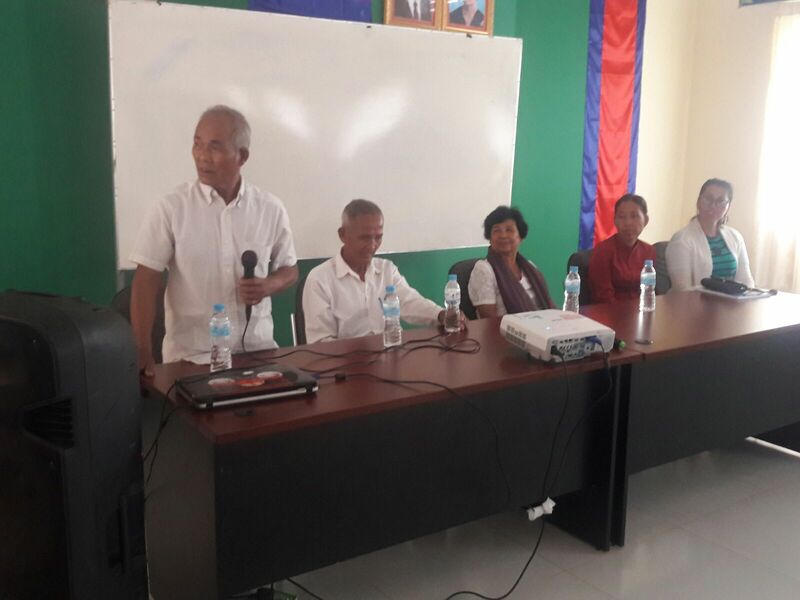 Considering that the education sector in Cambodia is still limited, especially in paths under the motto of the Ministry of Education, Youth and Sport. 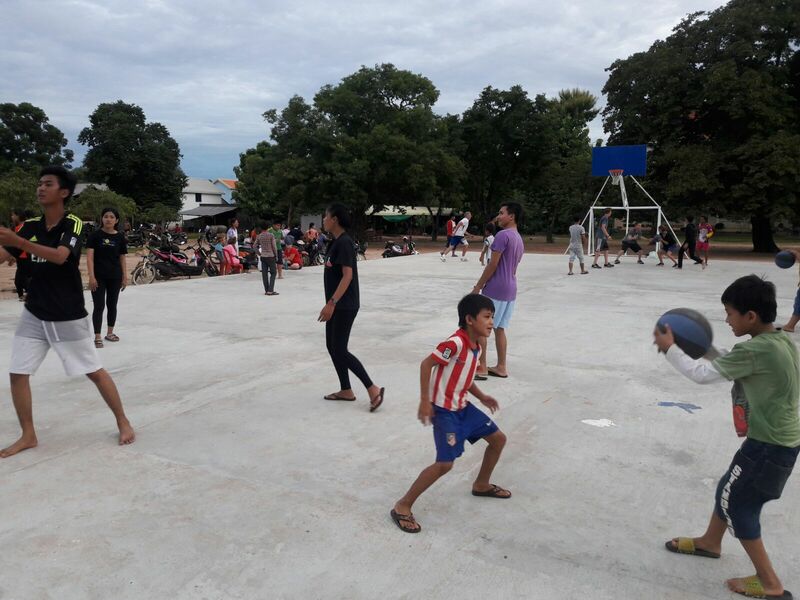 However, the promotion of sport in Cambodia is also progressing with the strengthening of the athletic ability of the youth from the lower to the young age of the student. Unfortunately, attention to developing sports in schools are at a level that should be add more focus, for example the courts. Some schools do not have national and international championship court, such as Samdech Techo HUN SEN Steung Trang High School, located in Boeung Deng village, Prek Kak commune, Steung Trang district, Kampong Cham province. After the permission from Hout Leang Cheng High School Director to build a sports field for the school, and Maria Victoria, a former Peace Corps Education volunteer who serves as an English teacher, has held talks with her partner teacher, Thai Vanne, a Cambodian teacher who teaches English at the school about the project process, also links all the work to the team leader of CFKs, Derek Nesland. 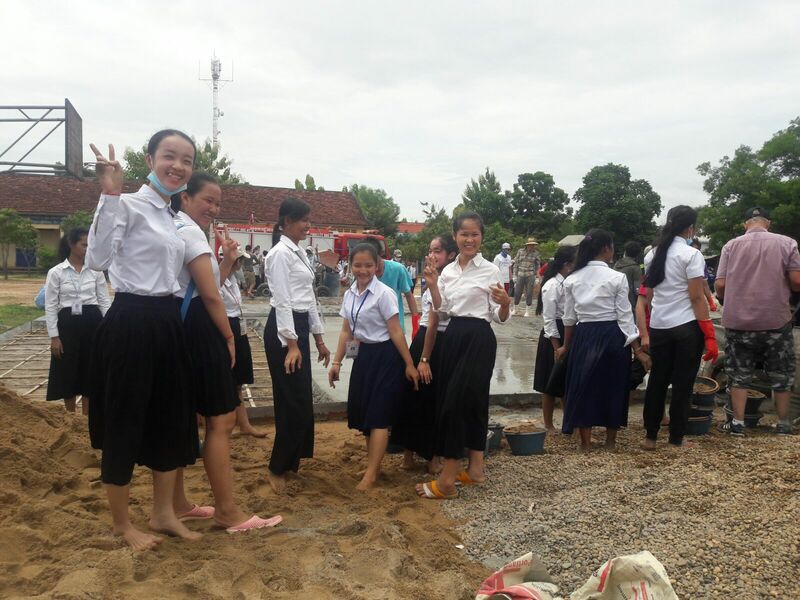 Shortly thereafter, a project named “The Court for Samdech Techo Hun Sen Stueng Trang High School” was sponsored by CFK and another part of high school, as well as participation from all students at all levels. In this project, the standard mini sport venue will appear to serve three different types – Volleyball, Basketball and Soccer. This project will help to improve the motivation for athletic participation and sports excellence in the high school better. 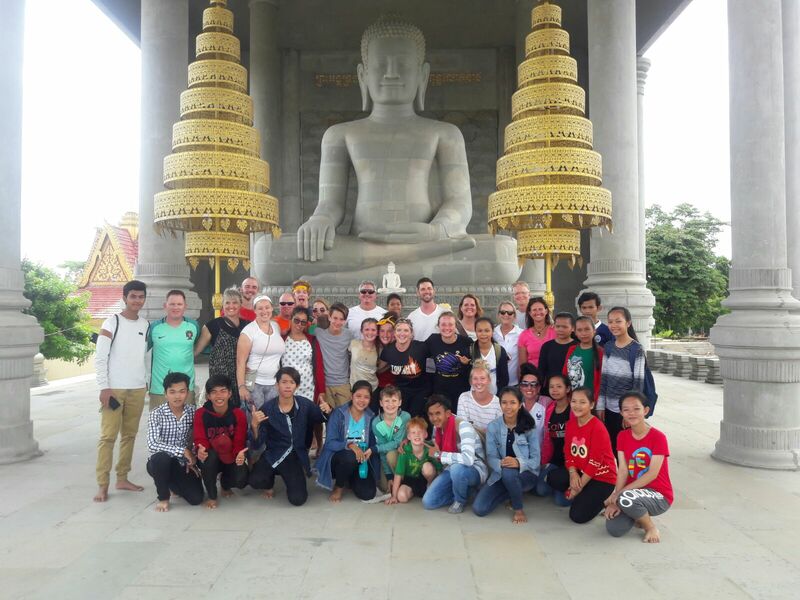 On the first day of the trip, the CFK’s team arrived in Siem Reap, an ancient Angkorian capital with a warm welcome from the high school delegation. The following day, we booked a bus for transportation from the cultural city to Kampong Cham. 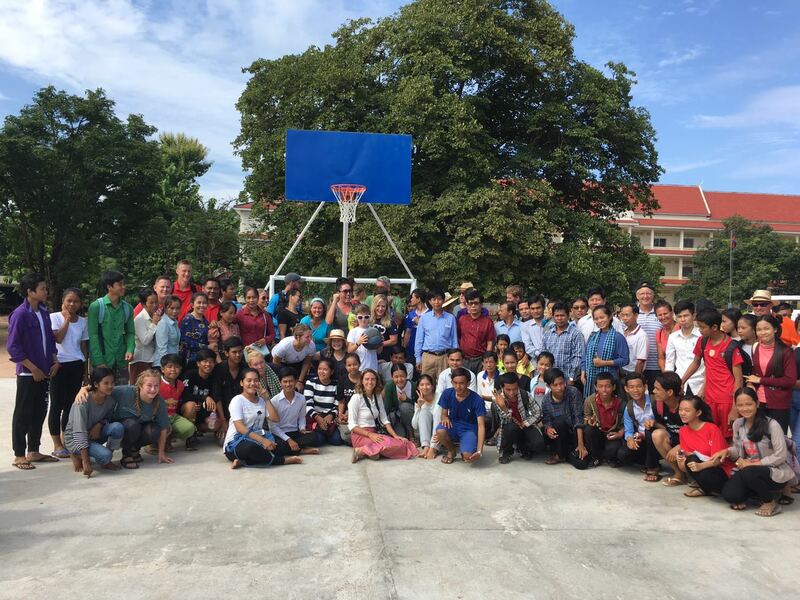 After about five hours of traveling, our team arrived at Stueng Trang High School, the site of our meeting, with a great welcome from the management of schools, teachers, communities and students. Volunteer group were invited to a high school welcoming forum hosted by Ly Sovanthy, a high school instructor, as well as attendance by teachers and members of the community. As part of the planning, the CFK group members volunteered to stay in high school classrooms prepared by the student’s residency team. 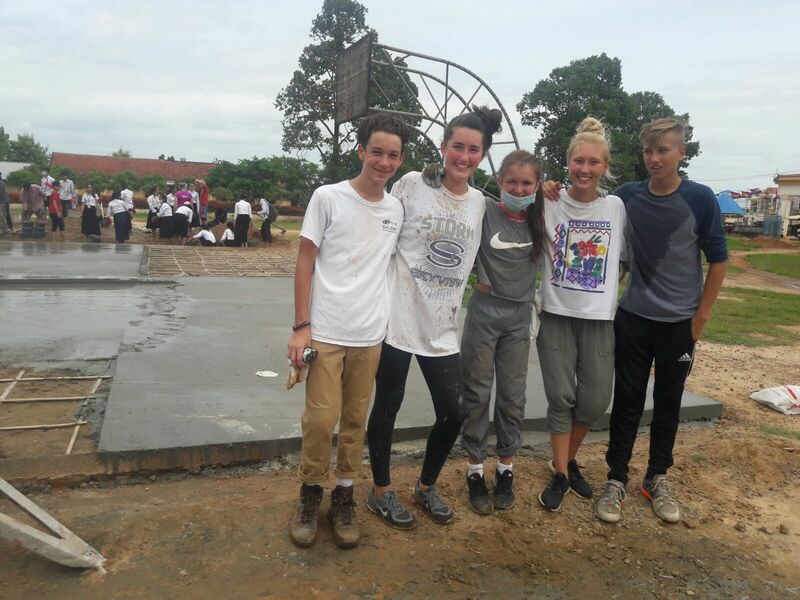 Despite the volunteers came from advanced countries, however, want to share a simple lifestyle with us, such as cultural exchanges and experiences, by agreeing to stay in our classrooms and using our high school toilet. 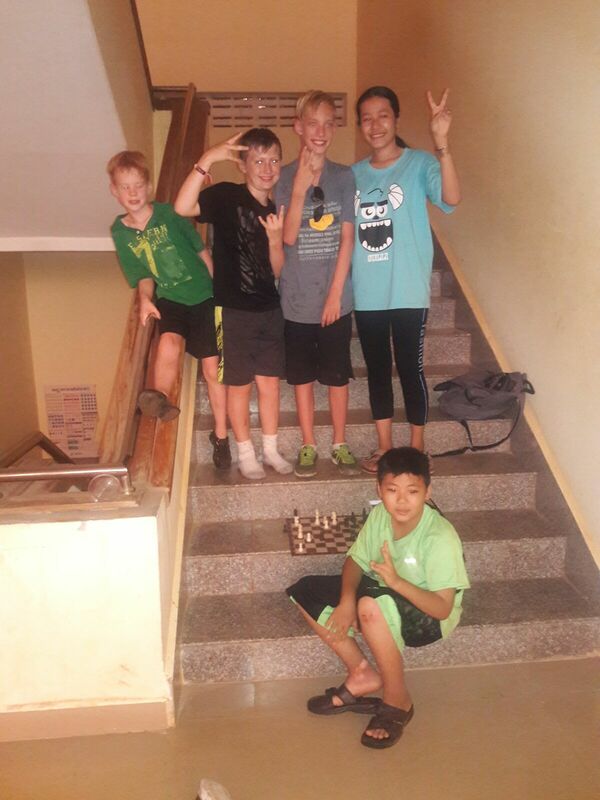 In addition, they spend valuable time with students in order to increase English language and knowledge to students as well as to build memorable relationships with each other. That same afternoon, we have a welcome ceremony honoring the feedback from the high school, teachers, students, all members of CFK. Started by singing the national anthem “Norkor Reach” and the international anthem “The Star-Spangle Banner” by Grade 10 students. Then, the school also offers the certificates to CFK. After that, we will perform folk dance, folk dances and gambling games, as well as foreign games with the participation of high school students, teachers and community members. In an atmosphere of great pleasure. This is a good time we can not forget in life, especially for our high school student’s life. On Tuesday, the first day of CFK’s field work with our 11th and 10th graders, with the participation of teachers, the work went smoothly. After a morning snack, our group came together on a field in the campus where the necessary materials were sent. Students began to help with shifting the cement and other equipment to concrete. Other groups transport sand and gravel into a cement mixer. However, our teacher with CFK team are also working hard. Besides, our construction team is also there. 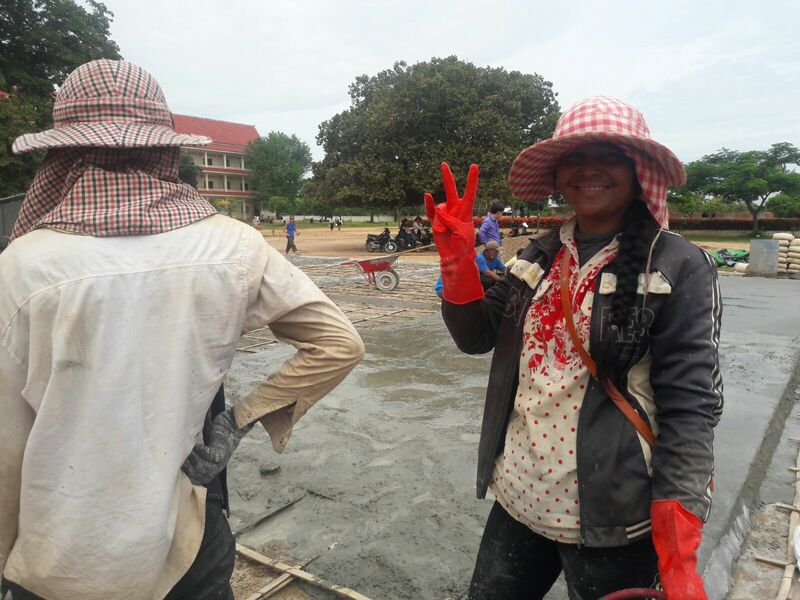 Even though we have to work under the strong sun, our team continues to work on and give us a smile for each other. This smile is a motivating force that makes our work smoothly for the first day of work. Lunch is served in Khmer style, Khmer food cooked by Khmer chef and delicious. 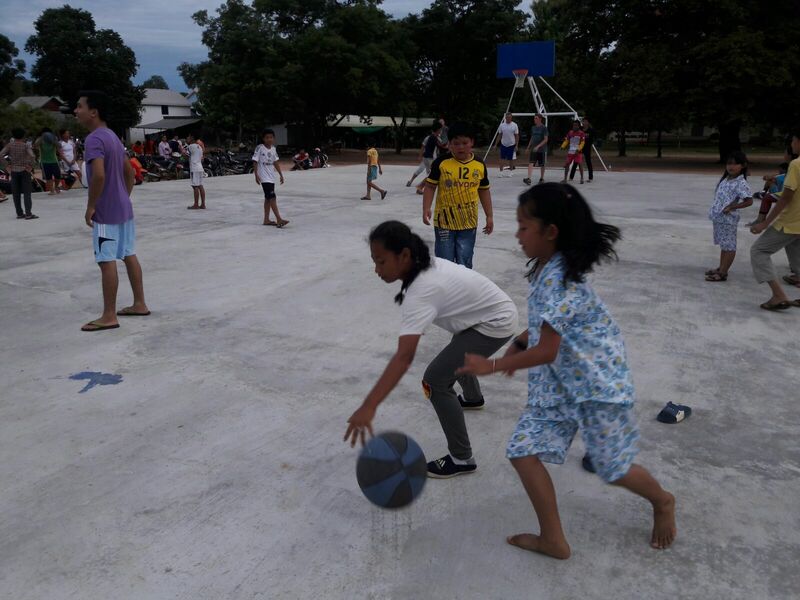 In the afternoon, we have a playground of CFK Children’s and Children’s Groups, where gambling and tugging are included. American folk games are for flagging, with large-scale hacking games being organized. This is the first opportunity for high school to have a good time to create good memories with foreigners. It has become an unforgettable memory for our high school students. After the rest of the evening meal was completed, a night project also appeared, singing karaoke songs at the school auditorium. Everyone is happy with their favorite songs and singers in their hearts. The applause of many students, along with the laughter of the lecturers, has made the trip a bit more exciting. The microphone was switched from one star to another. Snacks are also offered along with the beautiful presentation of our two beautiful MCs. Smiles also appear after the expense of working hard throughout the day. As the next day, the work at the site started again with the effort to complete the project. Each member of the team strives to fulfill their duties. However, despite some minor issues, we can still overcome with the attention of the Team Leader to ensure the health of CFK members. After finishing work at the morning premises, the lunch plan is over. Lunch was specially prepared by inviting teachers and students who worked hard at the pitch. This arrangement is designed to exchange knowledge and experience with each other, with the lifestyle of cultural history between the two countries. The main goal is to strengthen the relationship between each other to increase the level of warmth that gives warmth to those who come from home to feel at home. After that, the jokes have made the whole upper secondary school vibrant. 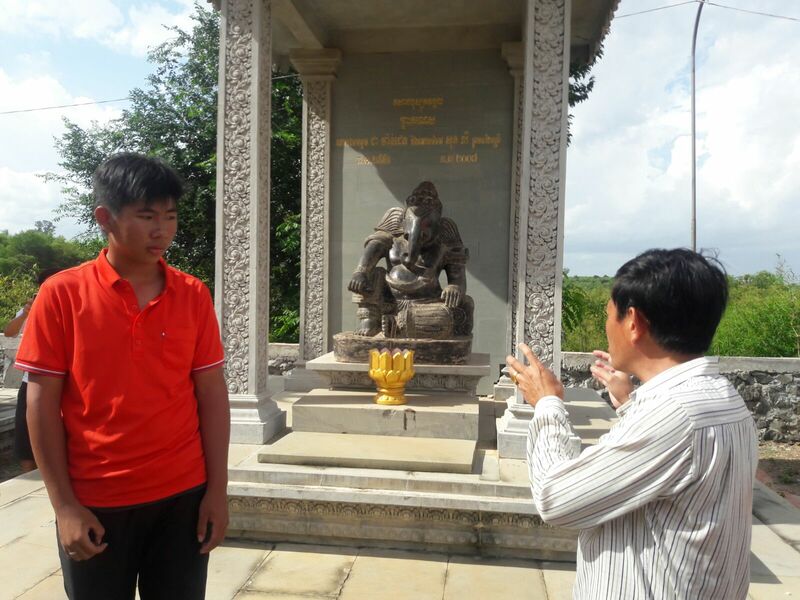 After that, the leader of the student conveyed the Buddhist understanding of the religion in Cambodia by sending a group of members to visit a pagoda in the middle of the village where Buddhist monasteries are located, where we invite a monk to give a gift and then request a lineage. Our team was allowed to visit the cathedral, where the captain of the group became a detailed guide to the statues on the walls of the Cathedral. 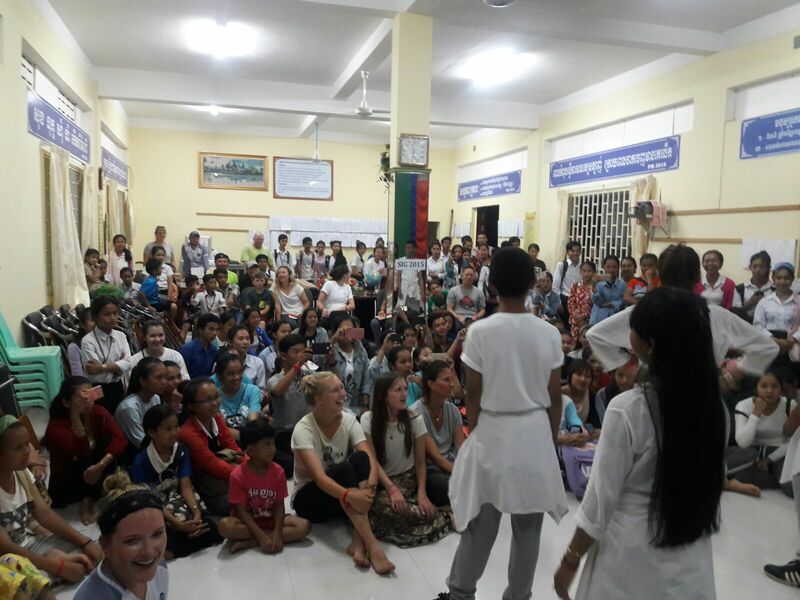 This is one of the most prestigious and important milestones in Khmer culture that has reached the world of adherence to religious beliefs in the Kingdom of Cambodia. Everyone there is very happy with their English language practice. Back on Thursday, as our work ended before the project, so the tour took place after a discussion. Everybody is ready for a trip that will create a new memorial. We are divided into two groups for the journey to ensure safety. Each group has a leader, who is the leader of the student group. In that, Romly and Hafysy are in charge of this. We left high school in the morning, heading down the road to Stueng Trang – Krouch Chhmar ferry. After crossing the river by ferry, we arrived at a new territory, Tbong Khmum province. 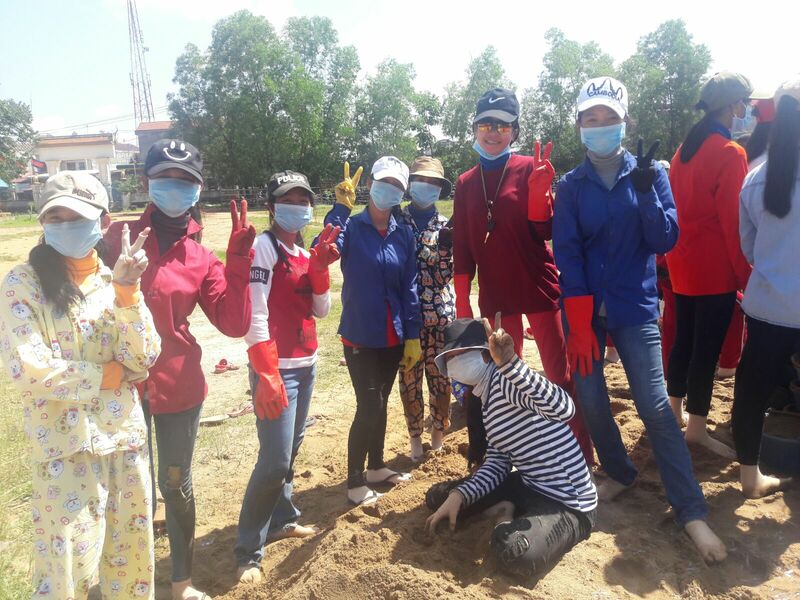 Memorabilia took place on the ferry, where several photographs were taken of enjoy the beautiful rural landscape of Stueng Trang district with beautiful smile of volunteer group and tour students. From the shore to the other side, we walk up the slopes and watch the spectacular views of the Mekong. We went to an Islamist mosque there. It is known as a large ancient cathedral where major ceremonies in the religion are held there. 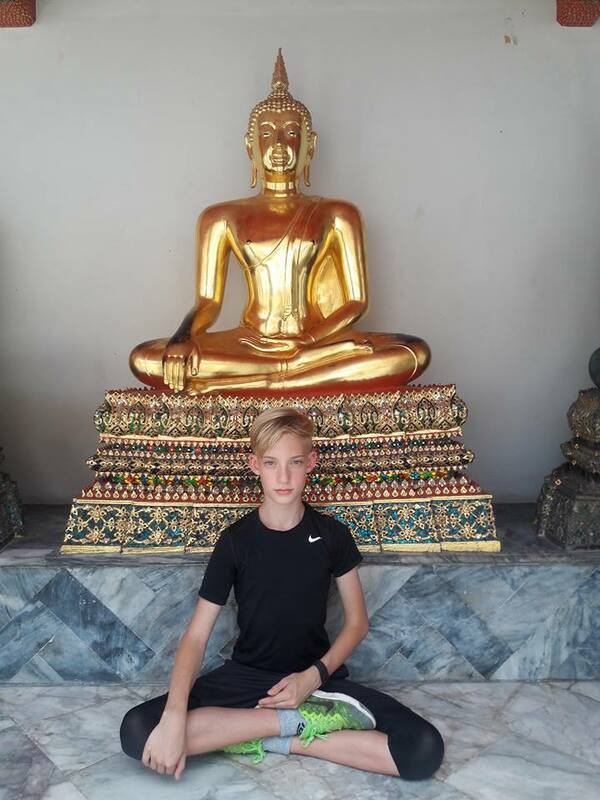 After visiting the exterior of the temple, we went on foot to an ancient pagoda, but unfortunately for us, we could not see the chapel, because the old pagoda was destroyed and building the construction of a new pagoda. After that, we continue to visit the site of the bridge across the river between Stueng Trang and Krouch Chhma. Returning to a home is a good time for lunch. We have a constant debate on the history of religion, the history of the members, and the way in which the two different countries have been discussed. This is a time when everyone in the group become a good friend and become a brother without day to forget. These good times did not end there. Lunch ended, replacing the old project, ending with memories and solidarity as a single family. 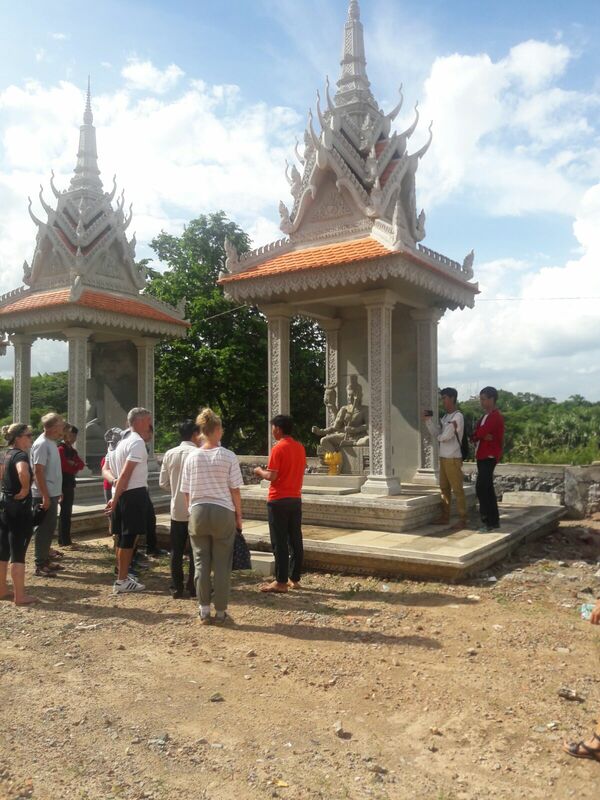 This is an excursion to a pagoda that is being constructed and will become a historic pagoda in the new century. There is nothing like what happened on the other side. Many memories, great photos, come up with a series. After all, awareness of the customs has been promulgated. This is an exciting day for everyone because the mission of exploring is not over yet. In the afternoon, a project was arranged as planned. We have invited some distinguished guests, including grandparents from the community to collaborate with Ms. Yi Sophy, curriculum professor at the school. We also do not forget to invite Mr. Nam Pheach and Mr. Leng Houch, English teacher, as a translation agent during this time. The recount of Cambodian history in the Democratic Kampuchea era or otherwise known as the Khmer Rouge Regime. Because of the turbulent conditions, the tribulation that the people have gone through in history has caused tears to flow away from the cheeks of the audience there. Silence makes the atmosphere worse. The history of exploration has ended with tremendous agony. However, everyone can not forget the excursion with a bit of an overview of this historic event. Everything ends with memory. 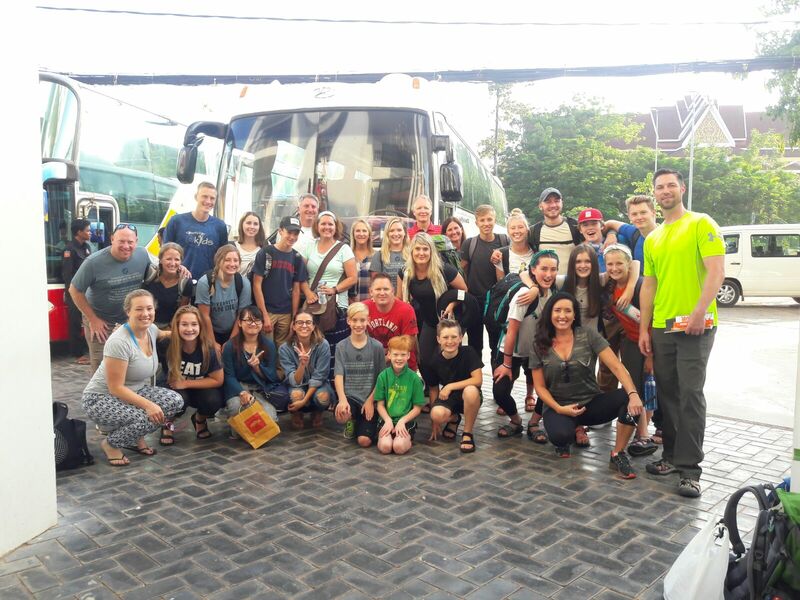 The next day of the trip, everyone is refreshed because of the pre-set work, so the rest of time has become the time to create more and more memorabilia. In the morning, we continue to visit the historic site of Chey Kiri Mountain or Hann Chey Mountain. There, everyone has rested from their tiring days and visited temples, as well as many new innovations. We have come together to have a snack, together with a mutually exclusive discussion. Directed by teacher Sorm Chandara, teacher Chhun Mom and teacher Kim Sothany returned safely back to high school with a smile. In the afternoon, the show shows the ability to come. This is a program everyone is looking forward to. We invited the Director, Deputy Director, Teacher, Guest, Honors, as well as many students. The program started in front of the high school where the stage for the performance was arranged. At that time, a high school student came to the show with a song titled “See You Again.” Concerting between singers and MCs make the program more enjoyable. Not only high school students participating, we also have CFK performance. Everyone is in good fellowship. The program has moved into the gallery due to rain, but this has not affected the program. Exercises include singing, music, classical music, dance performances, and acting, closing the program. The applause, the cheering, the smile, the smile emerged. All of them really can not forget this one. The new day of the Games has arrived. We have another program that will be the highlight of the new sport venue – a friendly sports competition involving high school students and members of CFK. However, our high school students have been trained in basketball by CFK in the morning. Friendly match will take place in the afternoon.We are enjoying the training. Shortly after the game came in, each team tried their best to win. Friendly match have made everybody watching the tournament refusing to compliment because we rarely have such a chance. Lastly for this evening, we have won two victories. Both teams will be in the final day of the match to win the tournament. Sunday is the last day of the trip. In the morning we have programs, a farewell ceremony between our team and CFK. The program is highly prized by the school director, the deputy director, teachers, Maria and CFK. The program started with a national anthem, followed by a thank-you note to CFK’s CEO. In that, Maria and our 12th students also expressed their interest in the help. The program ends smoothly. Then the final comes. Both teams arrived at the pitch, welcomed by many fans. Both teams competed fiercely on the pitch. The rhythm of praise is also raised from the fans there. This is a more memorable one. Lastly, we found the winner. Lunch was organized and a good time came. Everything seems to be sad suddenly. We built strong friendships, remembered times, laughter together, explained together, did not learn, learned each other. It’s hard for us to say goodbye to our friends. 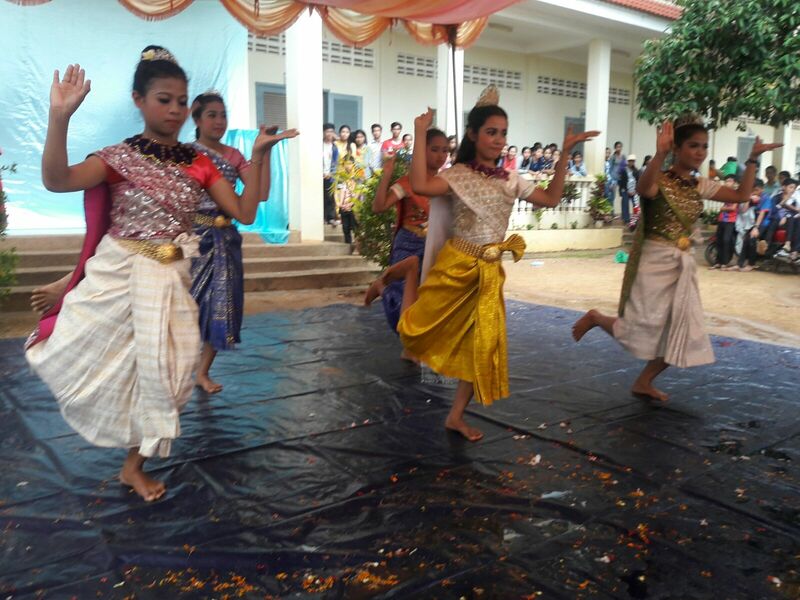 Our students also organized Khmer trinkets as gifts, and we also had many memories for them. We took a photo again. The sad situation came to replace laughter. Everybody there broke the tears of memories. We stand and smile, and we wish them a happy trip. The bus turns its head from our high school. We see our friends looking to us in the mirror. We smiled and said, “Thank you and thank you all.” We broke up with friends, but it just started! Memory will keep us connected. Our mission is finished, we have achieved a great achievement that comes from everybody’s oil and experience in knowledgeable know-how that is priceless! Thanks Court for Kids and everyone who makes it happen! ថ្ងៃអាទិត្យដែលជាថ្ងៃចុងក្រោយនៃដំណើរកំសាន្តនេះ។ នាពេលព្រឹកយើងមានកម្មវិធីមួយ ដែលជាកម្មវិធីលាគ្នារវាងក្រុមរបស់យើង និងក្រុម ស៊ី.អេហ្វ.ខេ.អេស។ កម្មវិធីមានការចូលរួមដ៏ខ្ពង់ខ្ពស់ពីសំណាក់លោកនាយកវិទ្យាល័យ លោកនាយករង កញ្ញា ម៉ារៀ ព្រមទាំងក្រុមស៊ី.អេហ្វ.ខេ.អេស ទាំងអស់គ្នាផងដែរ។ កម្មវិធីចាប់ផ្ដើមឡើងដោយ ការគោរពភ្លេងជាតិ បន្ទាប់ពីនោះ មានមតិថ្លែងអំណរគុណដល់ក្រុមស៊ី.អេហ្វ.ខេ.អេស ពីសំណាក់លោកនាយក។ ក្នុងនោះកញ្ញាម៉ារៀ និងសិស្សទី១២របស់យើង ក៏បានបញ្ជេញនូវចំណាប់អារម្មណ៍ ចំពោះជំនួយនេះផងដែរ។ កម្មវិធីបញ្ចប់ទៅដោយរលូន។ បន្ទាប់មក ការប្រកួតផ្ដាច់ព្រ័ត្រក៏បានមកដល់។ ក្រុមទាំងពីរបានមកដល់ទីលានដោយមានការស្វាគមន៍ពីសំណាក់អ្នកគាំទ្រជាច្រើន។ ទាំងពីក្រុមធ្វើការប្រកួតយ៉ាងស្វិតស្វាញនៅលើទីលាន។ សម្លេងហ៊ោកញ្ច្រៀវក៏តម្លើងឡើងពីអ្នកគាំទ្រនៅទីនោះ។ នេះជាអនុស្សាមួយបន្ថែមទៀត។ ចុងក្រោយនៃការប្រកួតយើងបានរកឃើញជ័យលាភី ដែលទទួលបានជ័យជម្នះ។ អាហារថ្ងៃត្រង់បានរៀបចំឡើង ពេលវេលាលាគ្នា បានមកដល់។ អ្វីៗហាក់ប្រែក្រៀមក្រំមួយរំពេច។ ពួកយើងបានសាងមិត្តភាព យ៉ាងរឹងមាំ នឹកឃើញពេលវេលារីករាយ សើចជាមួយគ្នា ពន្យល់គ្នា ស្ដាប់គ្នាមិនបាន ស្វែងយល់ពីគ្នា រៀនពីគ្នា។ វាពិតជាពិបាកសម្រាប់ពួកយើង ក្នុងការនិយាយថា លា ទៅកាន់មិត្តរបស់យើងណាស់។ ក្រុមសិស្សរបស់យើង ក៏បានរៀបចំកន្សែងខ្មែរសម្រាប់ជាកាដូរដល់ពួកគាត់ មិនត្រឹមតែប៉ុណ្ណោះ យើងក៏នៅមានកាដូរអនុស្សាវរីយ៍ជាច្រើនទៀតសម្រាប់ពួកគាត់។ ពួកយើង ថតរូបជុំគ្នា ម្ដងទៀត។ ស្ថានភាពក្រៀមក្រំក៏បានចូលមកជំនួសសំណើច។ គ្រប់គ្នានៅទីនោះបានសម្រក់ទឹកភ្នែកនៃការចងចាំ។ ពួកយើងឈរញញឹមលាពួកគេ នឹងជូនពរពួកគេ អោយធ្វើដំណើរដោយសុវត្ថិភាព។ ឡានក្រុង បែរក្បាលចេញដំណើរពីវិទ្យាល័យយើង។ យើងឃើញ មិត្តយើង សម្លឹងមករកយើងតាមកញ្ចក់ឡាន ក្រវីដៃលាពួកយើង។ ពួកយើងញញឹម លាយទឹកភ្នែក ហើយនិយាយ “លាហើយ សម្លាញ់ និងអ្នកទាំងអស់គ្នា អរគុណគ្រប់យ៉ាង ”។ យើងបែកពីមិត្ត ប៉ុន្តែវាទើបតែ​ ចាប់ផ្ដើមប៉ុណ្ណោះ! ការចងចាំ នឹងធ្វើអោយយើងនៅតែ មានទំនាក់ទំនង។ បេសកកម្មយើង ត្រូវបានបញ្ចប់ យើងទទួលបានសមិទ្ធផលមួយដ៍ល្អ ដែលកើតចេញពីការប្រឹងប្រែងរបស់ អ្នកគ្រប់គ្នា និងបទពិសោធន៍ ប្រកបដោយចំណេះដឹង ចំណេះធ្វើ ដែលមិនអាចកាត់ថ្លៃបាន! Thanks Court for Kids and everyone who makes it happen!! !